Formidable Woman. 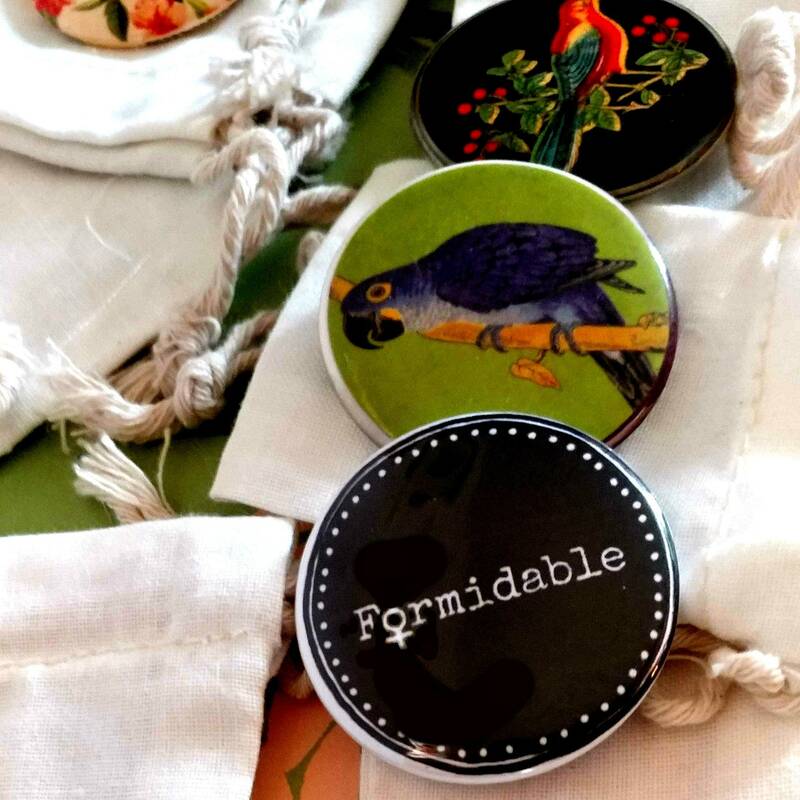 Make a big feminist statement with a small button. REMEMBER TO CLICK IMAGES TO SEE ALL THE INFORMATION ABOUT OUR ITEMS. WE HAVE SO MUCH TO SAY ABOUT OUR PRODUCTS. 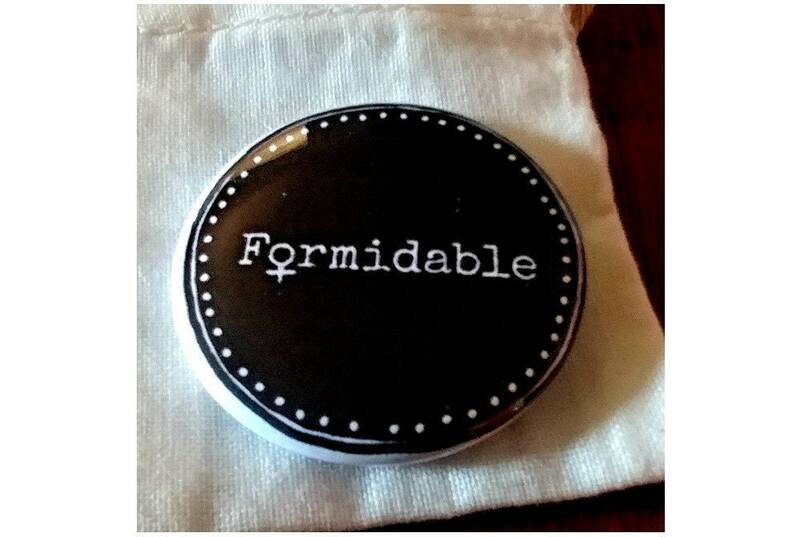 Formidable women, 1.5" feminist button in black and white, by Liza Cowan. Formidable in both the English and French meanings. Inspiring fear or respect by being impressively powerful and capable. Perfect gift for your feminist friends and family. Made in small batches by Small Equals. Also see the Formidable cup in the shop. © 2019 SMALL EQUALS * LIZA COWAN DESIGN.